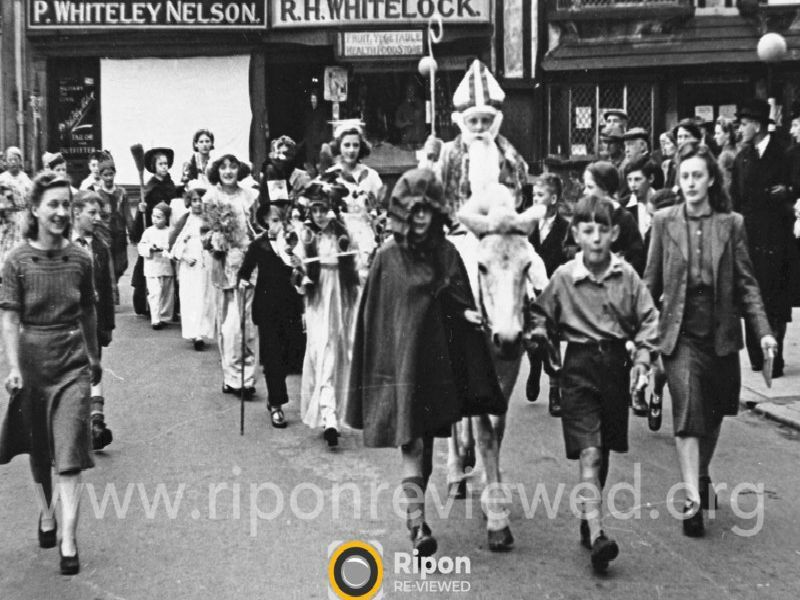 It's one of Ripon's best and most celebrated traditions - the St Wilfrid's Procession is steeped in history, and brings people of all ages together. St Wilfrid's turning right from Kirkgate and is preceded by Ripon City Band travelling down Bedern Bank. Here the procession passes what was the St Wilfrid's pub on North St. The horse is led by Frederick Skirrow (left) and Charles Skirrow. The Mayor, Coun John Richmond, and the Mayoress, accompany the St Wilfrid's parade. The carriage is passing what was Doubtfires Yard on Skellgarths, which is now Bedern Court. Children's parade through Ripon Market Square. Credit: Ripon Re-Viewed. Credit: Ripon Re-Viewed.